Together with the entry-level Kata C2 and mid-range Kata i5, Kata Philippines will also be announcing its latest flagship in time for the holiday season, the Kata Selfie. The Kata Selfie has a 5.5-inch display with 1920x1080 pixels or commonly known as Full HD resolution. On the inside, it has the same chipset and RAM size with the Kata i5, that is 1.3GHz octa core MediaTek MT6753 and 3GB respectively, but is comes with a bigger internal storage, which is 32GB. One of its unique features or shall I say its main feature, is the 18MP camera on its back that can be flipped over to take care of your selfies and video calls. The module also includes an LED flash to fill in light when shooting in dark environments. The other major specs are dual SIM with LTE connectivity, including the 700MHz band, fingerprint scanner, 3000mAh battery with up to 200 hours standby time, and runs on Android Marshmallow. 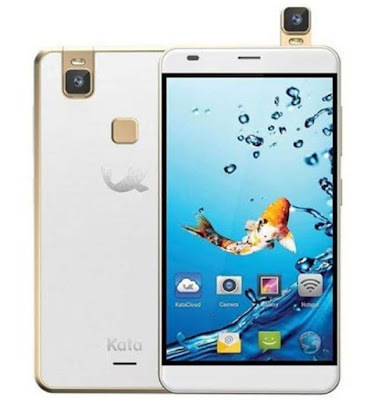 In terms of pricing, there is no word yet from Kata Philippines, but in Kata Hong Kong, it has an SRP of HK$2290 or about Php14.4K. Hopefully, it will be priced like the C2 and i5, which are both expensive in HK, more affordable in the PH.